Fall Sangria – Harlow Tea Co. Tea is for everyone, every time, and every place! I personally am not a wine drinker so when people bring wine to our house I try to find ways to use it. Since we just moved into our new home this year it seems to have increased the alcohol we have ten fold! My husbands grandmother brought this wine over so we drank some last night but on this seasonal Sunday it was calling for some apples, and fruit plus wine means SANGRIA! 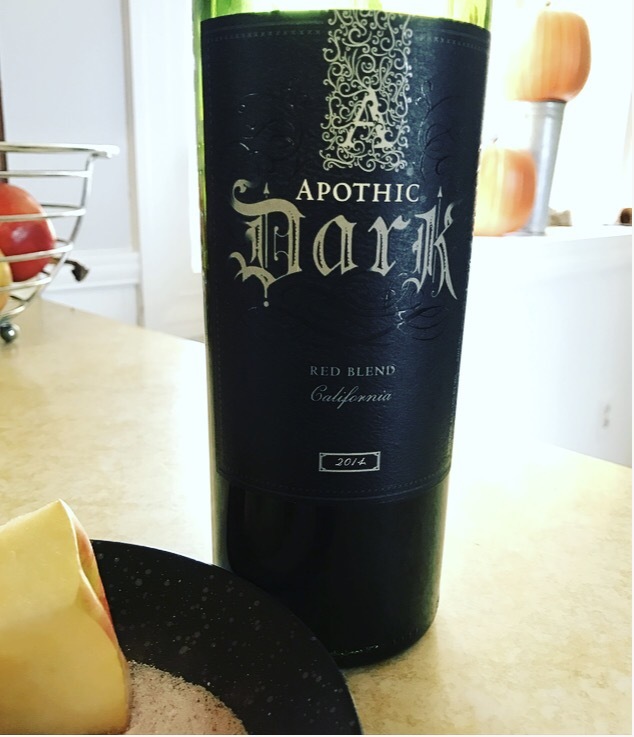 I decided to use my Apple Cider blend, 1:1 ratio with this dark red wine blend. I steeped 4 tsp of my Apple Cider tea with 6 ounces of water to ensure a strong flavor to match the deep taste of this wine. Since it is fall our desSert for the family last night was apple crisp with some apples canned from last year. We try to waste as little as possible so to enhance the apple flavor I used 1 ounce of the remaining liquid from the apples, reduced, to top off this sangria. I love the added sweetness and pop of apple with the syrup so you can use Torani Apple or your favorite syrup. This is a sangria so fruit is a must, apple slices are mandatory! Something really fun for this, and to counter the deep wine flavor for those like me, is to add a rim of cinnamon and sugar to your glass. I mixed 1:1 ratio of fine sugar and cinnamon, dipped the rim of the glass in water, then dipped the glass in the cinnamon sugar mixture. I put the cinnamon sugar on the rim of my mason jars first, then added some ice and apples, then the wine, tea (cooled) and apple syrup. I recommend not using a straw if you rim your glass because when you drink from the glass you get that amazing sweetness followed by the sangria!